I recently received an email from a writer who told me she was working on a novel in which one of the settings was a swamp. As she started to read about swamps, however, she realized it wasn’t straightforward – swamps, bogs, marshes, wetlands – all these different words! Are they all terms for the same place or are there differences? Being a regular reader of Friday Fiction Facts, she knew better than to just guess. So she emailed me to ask if I could help her figure out what type of swamp (or other wetland) would be appropriate to her story. So on her behalf, I’m going to sort that out for everyone today. The Climate: Where on the planet does your story take place? Is it in a northern zone? (mid- to northern US, Canada, Britain, Northern Europe) Or is it in the tropics or subtropics? (Southern US, southern Asia, Australia). The Weather: What season is it? Has it rained lately? The Location: Is it inland or coastal? Now that you know those things, let’s look at our choices. 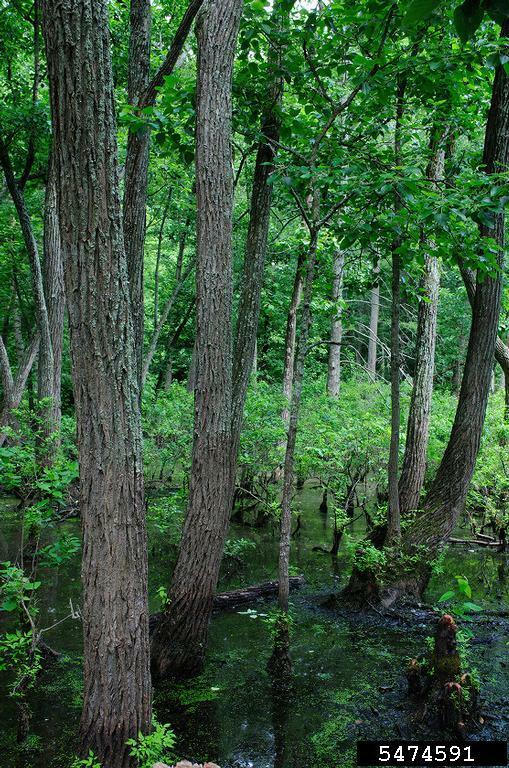 Swamps, Marshes and Bogs – What’s the difference? 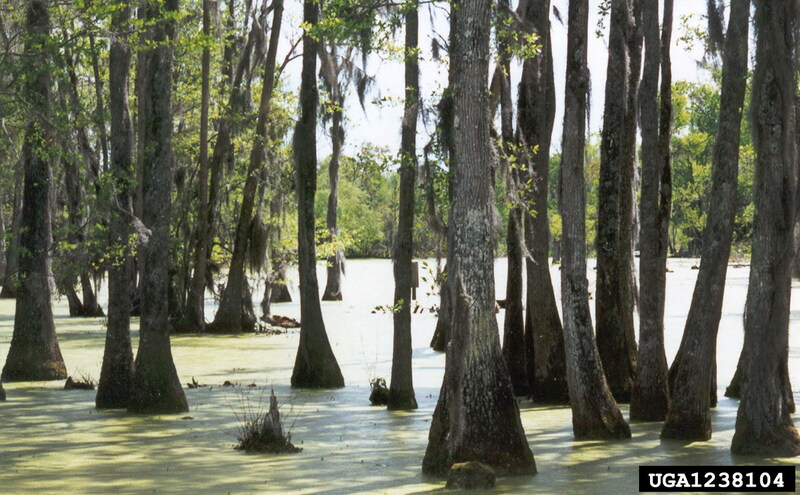 Swamps involve trees and merge with the forest. In general (there are exceptions), swamps are freshwater. 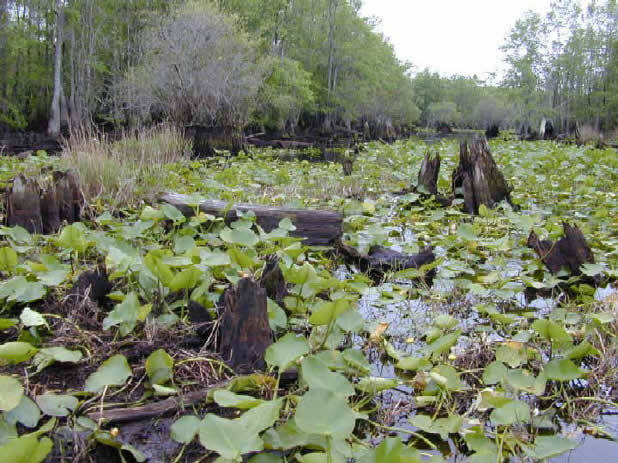 Swamps can be in the northern climate or in the tropics. Northern swamps have winter so everything freezes, trees lose leaves, swamp plants die back, and animals leave or hibernate. Southern swamps are hot and steamy year-round, so more tropical. Animals stay, large reptiles can live there (gators! ), and moss and plants grow thick. Navigating a swamp is difficult. It is essentially a flooded forest, so the ground is uneven and includes fallen trees, hidden stumps, rocks and boulders. Standing trees and undergrowth can be thick, making it hard to traverse by canoe. 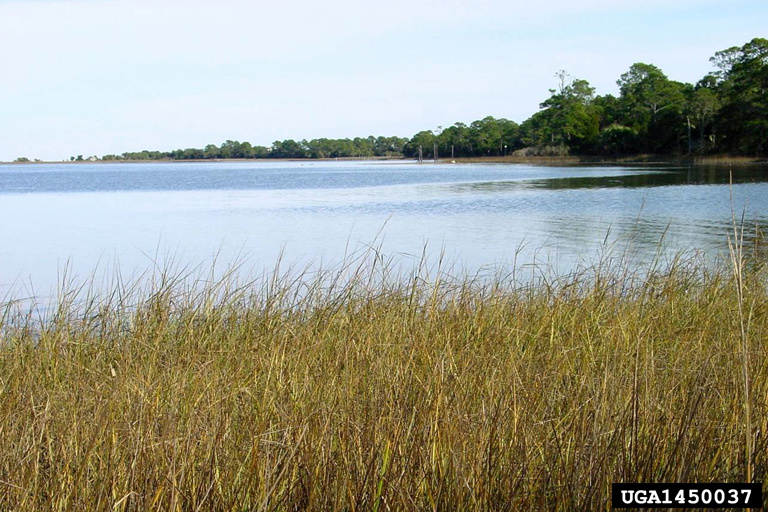 Marshes are flat, relatively shallow, and are out in the open, usually merging with rivers, ponds, lakes. They are dominated by grasses instead of trees. Plants may include sedges, cattails, grasses, rice, bulrushes and water lilies. Inland marshes are freshwater. 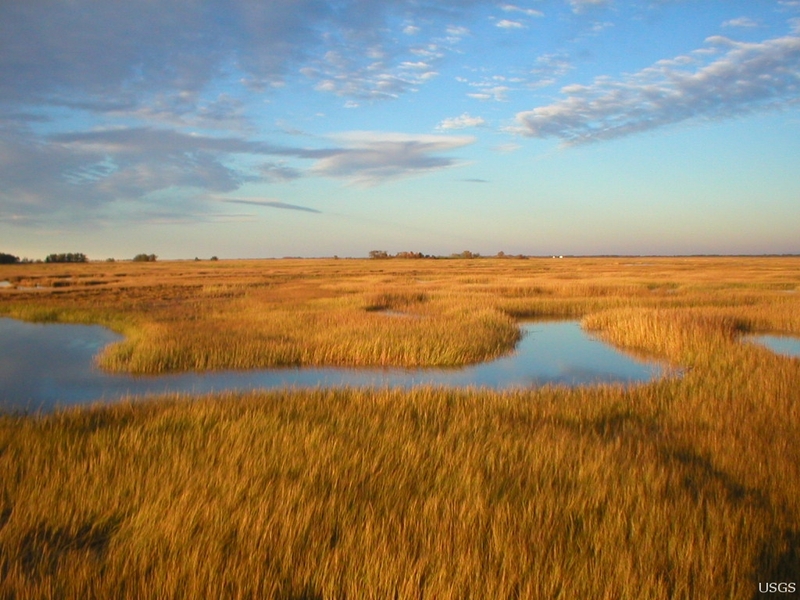 Tidal marshes can be salt or mixed (brackish) water depending on how close to the ocean they occur. During dry summers, marshes can become muddy or even dry. In the winter, northern marshes will freeze and the grasses will die back. Navigating a marsh is easy in a canoe or flat-bottom boat. If the water level is low, the edges of a marsh may afford a bit of beach where people could walk. During rainy seasons or spring run-off, the water would flow into the surrounding grasses, making foot-navigation difficult, however, if one didn’t mind getting wet, marshes are not usually too deep to wade across. Bogs are tricky. They sneak up on you. When you’re near a swamp or a marsh, you know it. Sure, a low spot may surprise you and suddenly you’ll find yourself up to your bootlaces in water or mud, but you know that’s a possibility when you get there. Bogs on the other hand, pretend to be fields built on solid ground. 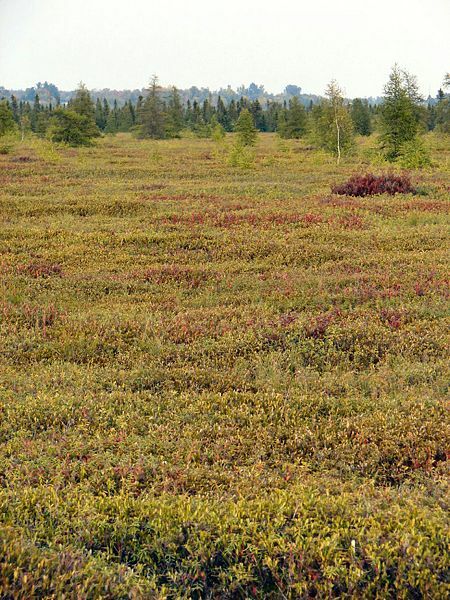 Take a look at this bog in Ontario. Looks like a field, doesn’t it? Mer Bleue Bog conservation area, Ottawa, Canada. The thing about bogs is this: they tend to be covered in shrubbery which looks like it’s growing on land. But no. It is rooted in moss– often Sphagnum which decays into peat (you know, “peat moss,” that stuff you buy for the garden) — which is completely saturated in water. Another video here showing the NJ Pine Barrens bog. Bogs are anaerobic environments (they have no oxygen) and are poor in nutrients. For this reason only specialized plants grow well in bogs: Blueberries, cranberries, cloudberries, huckleberries and lingonberries are harvested from bogs. 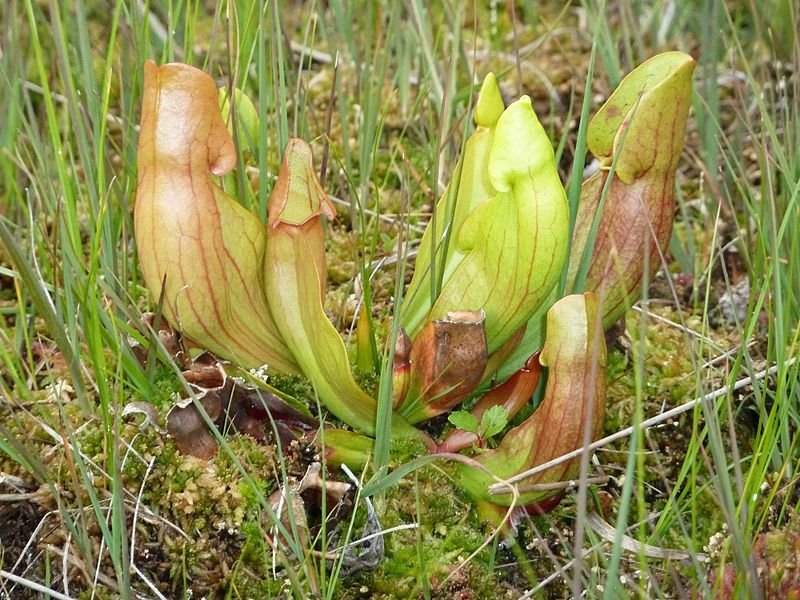 Also carnivorous plants are adapted to bogs, as they get their nutrients from the insects and animals they eat. Finally, because of the lack of oxygen and the high acidity (like vinegar) things that die in bogs do not decay but are instead preserved. This results in Bog People, many of whom have been found in northern Europe. Now you recognize swamps, marshes and bogs, right? So go back to the first photo. Which do you think it is? Thank you to my reader who sent the original question! Next time: Swamp Thing! Some confusing characters that might inhabit your wetlands. Ooh, you’re going to do a second installment? Thank you, thank you, thank you! I was just writing a scene which obliquely mentioned gators, but I already know it takes place in a Northern climate, so I need to fix that. KIM: but is there such a thing as a bog swamp? I’m thinking of a place near where I grew up in Oxford County with what we called The Sink Hole — a swamp area with trees, almost always boggy. Sixty years ago a gravel road resting on corduroy crossed it. My grandfather told of a time sixty years before that when a team of horses was pulling a threshing machine across this when the whole road flipped, pulling the horses and the machine into a boggy grave, never to be seen. I’ve always wondered: is this real or was gramps pulling my leg? Could a swamp be that boggy?